How do Cells get in Shape? What gives the wide variety of plant and animal cells their unique shapes? And once a cell is formed, can it change its shape? 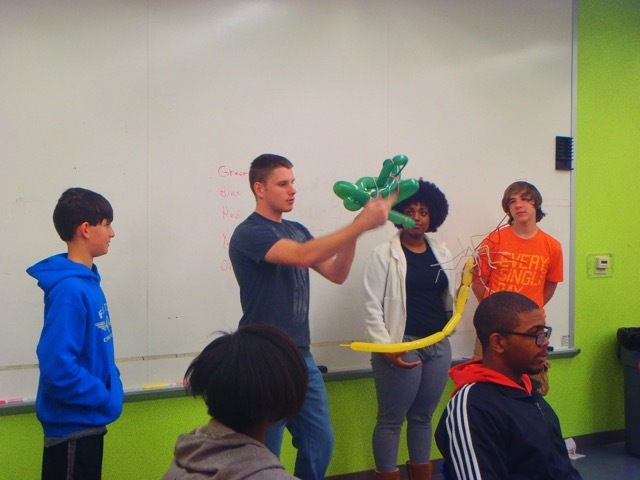 On Friday, March 18th, 2016, the Saint Louis Science Center site of the Gateway Teen Science Café node in St. Louis, Missouri, held a Teen Science Café centered around the structure of cells. Our guest speaker was Dr. Ram Dixit, an associate professor of biology at Washington University—St. Louis. His academic research interests include the assembly and structure of plant cells, as well as developing new techniques to model the interactions of these subcellular structures. His presentation discussed his work on structural components, including actin filaments and microtubules, which give cells their shape, allow them to move, and aid in performing vital cell functions. 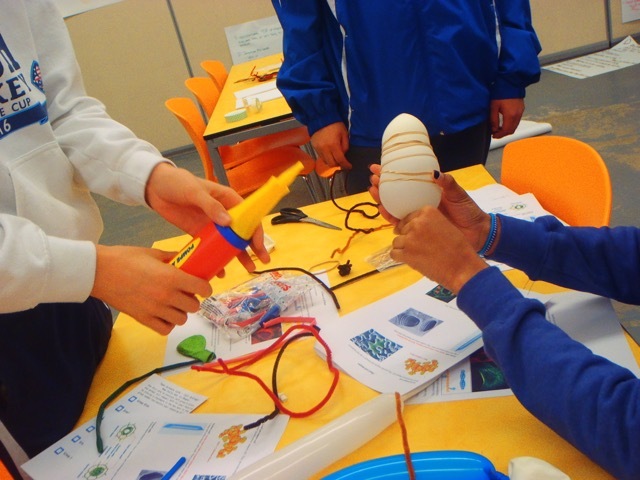 The teens built a variety of different plant and animal cell types out of recyclable materials and craft supplies, including plastic bags, styrofoam, cardboard, balloons, pipe cleaners, etc. The challenging part was that each group of teens had to make their cells as accurate as possible with a supportive cytoskeletal structure. Then each group competed and teens voted for the winners! There were some very creative cell models.